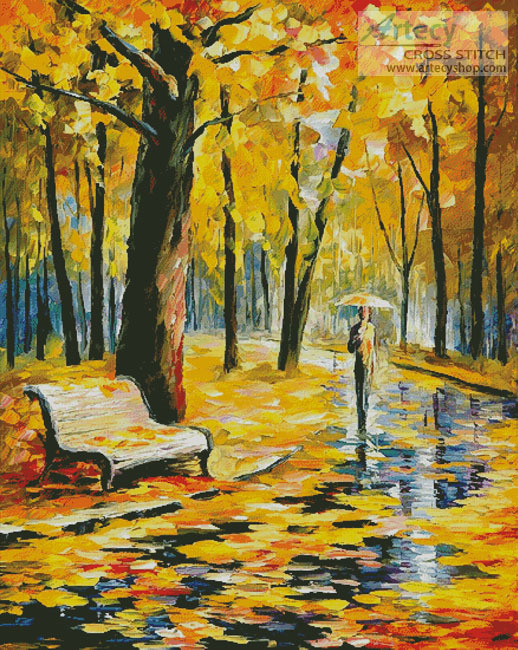 Fall Rain Large Cross Stitch Pattern to print online. A smaller version of this Pattern can also be found here. This design is also available as a full quality custom cross stitch Kit, or if you have the pattern you can purchase a floss and fabric pack or just a floss pack on its own through Charting Creations, please click HERE for more information and prices. This product was added to our catalog on Sunday 02 August, 2015.